I've had the pleasure of making friends through guiding, today I fished with Aiden and Porter, their parents took their younger kids out enjoying other water sports on a Mercer area lake. We were entrusted to bring home the fish fry.Customers since my first year of guiding, previously I had fished with the group of five or six. Our day started slow we fished for probably an hour before our first walleye. We worked a lot of structure ( mostly wood) from 7 feet to 16'. We caught a lot of the fish in 10-12' wood/rock. 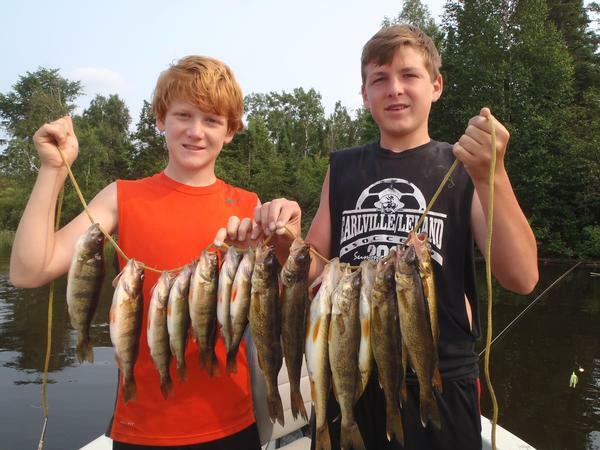 Our limit of 9 walleyes and 11 perch came slow, our last walleye at 4pm. We did best on crawlers although did catch fish on leeches and minnows. It was fun to see the progression of the kids as fisherman, last year the older Porter was already a good fisherman, able to stay with a bite and not give the pole a jerk at the first sign of a bite. 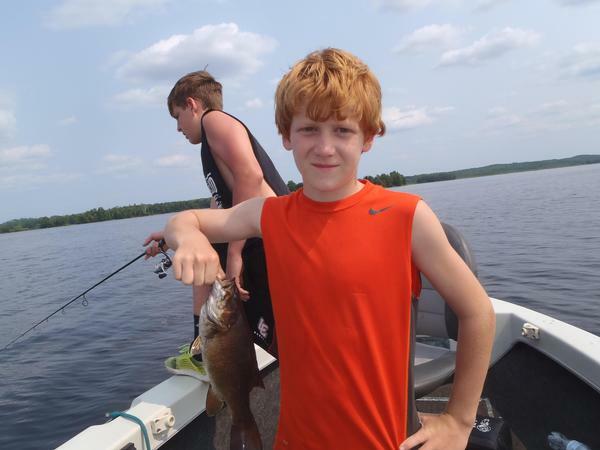 This year Aiden who missed a lot of fish last year caught the most fish this year a pivotal age seems to be around 11 years old. 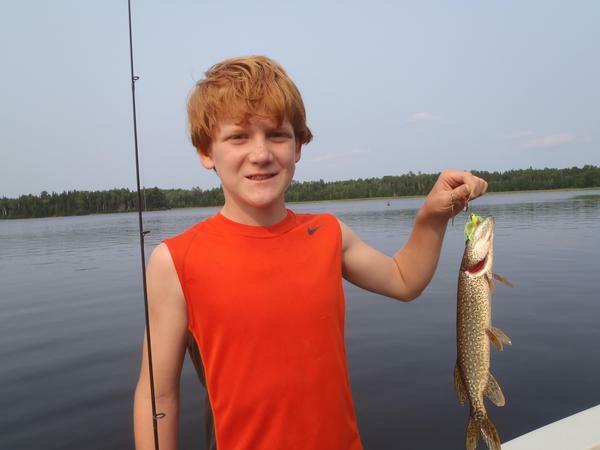 I have fished other bodies of water, but all posts on this site and every picture posted have been taken on the Turtle Flambeau Flowage.